Draft: 2008, Chicago Cubs, 6th rd. Joshua Isaiah Harrison...Wife's name is Brittney...Has two daughters; Mia Jade (2/11/14) and Kinsli Rose (9/29/17)...Is a 2006 graduate of Princeton (OH) High School, where he was a three-year letterwinner...Was named team MVP as a senior and was a two-year captain...Was named to the all-city team by the Cincinnati Enquirer and played in East-West All-Star Game... Played three seasons (2006-08) of baseball at the University of Cincinnati, where his named is entrenched in the record book... Ranks in the Bearcat top 10 in batting average (4th, .358), runs (3rd, 192), hits (4th, 246), doubles (4th, 53), RBI (5th, 153), total bases (5th, 366), and stolen bases (2nd, 63)...Helped guide Cincinnati to a school-record 39 wins and a second-place regular season finish in the Big East during his final season...Earned second-team All-America honors from Collegiate Baseball and was named the Big East co-Player-of-the-Year in '08 after leading the Bearcats with a .378 batting average, 90 hits and 22 doubles... Played for the Cotuit Kettlers of the Cape Cod League in the summer of 2007, hitting .264 with seven doubles, one triple, two home runs, 13 RBI and 14 stolen bases in 38 games...His brother, Vince Jr., spent five seasons in the Tampa Bay, Florida and New York Mets organizations...Is the nephew of John Shelby, who played 11 seasons (1981-1991) in the Major Leagues and served the Pirates as their First Base Coach in 2006-07...Was elected to the University of Cincinnati Athletics Hall of Fame in October 2015. Captured a Gold Medal while playing with Team USA in the World Baseball Classic...Was named to his second All-Star team (played final four innings at second base and went hitless in two at bats)...Set a career high in home runs...Ranked second in the N.L. with a career-high 23 hit-by-pitches...Was the sixth-hardest player to double up in the N.L. (97.2 at bats per GIDP)...Made 78 appearances (77 starts) from the second spot of the lineup and hit .291 (89-for-306) with 19 doubles, nine home runs and 30 RBI...Made 79 starts at second base and 37 at third base...Also made six starts in left field and one appearance (6/11) in right field...Was Pittsburgh's Opening Day starter at second base for second straight year...Connected off Chicago's Jon Lester for his fifth career leadoff home run on 4/26...Recorded first career two-homer game on 5/1 at Cincinnati...Had a walkoff single in the 10th inning of a 2-1 win over Milwaukee on 5/6... Hit safely in 10 straight games between 5/19-28 (17-for-44, .386) and again between 6/2-12 (15-for-38, .395)...Broke up Rich Hill's no-hitter with a game-winning, walkoff homer in the 10th inning of Pittsburgh's 1-0 win on 8/23; became the first player in Major League history to end a pitcher's no-hit bid with a walkoff home run...Suffered a fracture of the fifth metacarpal on his left hand after being hit by a pitch thrown by Cincinnati righthander Tyler Mahle in the fifth inning on 9/2 and missed remainder of the season. Set career highs in RBI and stolen bases (19-of-23); tied career high in triples...Made a career-high 128 appearances (122 starts) at second base; also made one appearance (one inning) in right field on 6/16 at New York...Ranked second among N.L. second basemen with 97 double plays turned (Philadelphia's Cesar Hernandez was first with 102) and third with 635 total chances...Was Pittsburgh's Opening Day starter at second base (was the Opening Day starter at third base in 2015) ...His home run on 4/29 vs. Cincinnati was his first since 5/15/15 and his first at PNC Park since 4/21/15...Hit .333 (30-for-90) in April and .325 (26-for-80) in May; was hitting .327 overall thru the action on 6/9...Batted .198 in June and .213 in July...Recorded a .329 average (48-for-146) in his last 36 games (beginning on 7/30)...Produced his sixth career walkoff hit on 7/19 vs. Milwaukee; led off bottom of the ninth in a 2-2 game with a triple and scored on a throwing error by Scooter Gennett...Assumed the leadoff batter position on an everyday basis on 8/5...Hit .327 (53-for-162) and scored 23 runs in 39 games (37 starts) from the top spot of the order...Tied career high (10th time) with four hits on 8/14 at Los Angeles (NL)...Hit safely in each of his last 10 games from 8/31 thru 9/10, going 17-for-42 (.405) with seven multi-hit efforts...Left the game on 9/10 vs. Cincinnati with a right groin strain and missed remainder of the season (suffered injury rounding first base on a double) ...Was placed on the 60-day disabled list on 9/26...Was reinstated on 11/4. Was Pittsburgh's Opening Day starter at third base and went 2-for-4 with a double as the leadoff batter...Signed a four-year contract extension on 4/8... Became just the third player in Pirates history to hit a leadoff home run in the team's Home Opener; joining outfielder RJ Reynolds, who did so in 1986 at Three Rivers Stadium off New York's Dwight Gooden and shortstop Billy Cox, who connected off Cincinnati's Joe Beggs at Forbes Field in 1947...Hit his second leadoff homer of the season (fourth career) on 4/21 vs. Chicago (NL)...Dropped out of the leadoff spot on 5/1... Made start at second base on 5/3 at St. Louis...Played the final inning in left field on 5/9 vs. St. Louis...Made first start of the season in left field on 5/14 at Philadelphia and went 3-for-4...Had sixth career four-hit game and a career-high nine total bases on 5/15 at Chicago (NL)...Produced six straight hits from 5/20-21...Had an 11-game hitting streak from 5/12-24 (22-for-47, .468), raising season average from .173 to .261...Had walkoff single on 6/14 in 11th inning of 1-0 victory vs. Philadelphia...Tied career high with four hits on 6/12 vs. Philadelphia...Produced a .340 average (65-for-191) over a 46-game span from 5/12 thru 7/4...Injured his left thumb while sliding into second base on 7/5 and was placed on the 15-day disabled list on 7/6...Underwent surgery to repair torn ulnar collateral ligament on 7/8 (surgery performed by Dr. Thomas Graham)...Began a rehab assignment with Triple-A Indianapolis on 8/11; went 1-for-19 in five games before being recalled from rehab and reinstated from D.L. on 8/21 (missed 38 games)...Batted .310 (35-for-113) in 39 games after returning from the disabled list and hit safely in 15 of his last 21 games (28-for-74, .378), dating back to 9/10...Recorded his ninth career fourhit game (fourth of the season) on 9/12 vs. Milwaukee...Had walkoff single in the 11th inning of a 7-6 win vs. Milwaukee on 9/13...Produced a .328 batting average in his final 86 games after his average dipped to .173 on 5/10...Made a total of 72 appearances (57 starts) at third base, a career-high 37 appearances and 24 starts at second base, 12 appearances (eight starts) in right field and 10 appearances (seven starts) in left field. 2015 POSTSEASON: Was the starting third baseman and went 0-for-3 with a HBP in the Wild Card Game vs. Chicago on 10/7...Played the final two innings at shortstop. Established career highs in every offensive category while spending second full season in the big leagues...Finished ninth in the voting for National League MVP...Was selected to his first National League All-Star Team; played final three innings in left field and went 0-for-2 at the plate...Finished second in the N.L. batting race behind Colorado's Justin Morneau (.319)...Led the league with a .372 average with runners in scoring position...Tied Matt Kemp for the N.L. lead in total bases (143) after the AllStar break and his 34 extra-base hits ranked second in the N.L behind Kemp (35)...Batted .328 with 11 home runs and 58 runs scored in 84 games from the leadoff spot...Made 72 appearances (55 starts) at third base, 26 appearances (23 starts) in right field, 26 appearances (21 starts) in left field, 17 appearances (13 starts) at second base and eight appearances (four starts) at shortstop...Became the club's everyday third baseman on 8/19....Hit .370 (60-for-162) with runners on base and went 4-for-5 with the bases loaded...Made his third straight appearance on Pittsburgh's Opening Day roster...Made first appearance of the season on 4/11 at Milwaukee (played final inning in left field)...Connected off Milwaukee's Rob Wooten for his third career pinch-hit home run on 4/17 at PNC Park...Made first start of the season at third base on 4/20 vs. Milwaukee and went 2-for-6 with a double and a stolen base...Went 6-for-16 (.375) with five runs scored in his first four starts from right field and the leadoff spot of the batting order from 5/3-6...Tripled twice on 5/4 vs. Toronto...Hit safely in 16 of his 20 starts (17 in right field/three at third base) during the month of May and hit .317 (26-for-82) with four doubles, two triples, two home runs, eight RBI and 15 runs scored in 24 games overall in May...Had three straight multi-hit games from 5/29-31 (6-for-13) and hit safely in 10 straight games from 5/28 thru 6/7 (17-for-45, .378)...Assumed the primary leadoff batter position on 5/18 (game two)...Doubled twice and also had a triple on 6/4 at San Diego...Left game on 6/11 vs. Chicago (NL) with left ankle discomfort...Returned to action on 6/14 and went 3-for-5 while batting fifth in the lineup...Tied career high (third time) with four hits on 6/17 vs. Cincinnati...Delivered third career walkoff hit in 3-2, 11-inning win vs. New York (NL) on 6/27...Homered in three straight games from 7/28-30...Had second four-hit game of the season and fourth of his career on 7/27 at Colorado...Connected off Tim Hudson for first career leadoff home run on 7/29 at San Francisco...Had an extra-base hit in seven straight games from 7/27 thru 8/2 -the longest such streak by a Pirates player since Sid Bream (eight consecutive games in May 1986)...Went 20-for-44 (.455) with 12 extra-base hits in a 10-game span between 7/27 and 8/6, the first Pirates player with at least 20 hits, including 12 or more extra-base hits, in a 10-game span since Dave Parker in September 1978 (prior to Parker it was Paul Waner in May 1932)...Had a 13-game hitting streak from 7/27 thru 8/9 and reached base safely in 17 straight games from 7/27 thru 8/13...Had a career-high five RBI on 8/22 at Milwaukee...Was named National League Player-of-the-Month for the month of August after hitting .356 and leading the league in slugging percentage (.610), hits (42), extra base hits (19) and total bases (72)...Became the fifth Pirates player in history with as many as 19 extra-base hits in that month; Paul Waner (24 in 1928 and 20 in 1930), Max Carey (20 in 1924) and Reggie Sanders (19 in 2003) and his 42 hits were the most in a month by a Pirates player since Freddy Sanchez had 46 in August of 2007....Recorded his fifth career four-hit game (third of 2014) in suspended game of 9/5 at Chicago (NL); also left the game in the 11th inning with an injured left ankle after making a catch at shortstop...Returned to action on 9/9 at Philadelphia and went 1-for-5...Had 10 assists at third base on 9/19 vs. Milwaukee, falling one shy of the club and Major League record...Hit safely in 15 of his last 16 regular season games (23-for-71, .324) and had a career-high 15-game hitting streak from 9/12-27 (23-for-67, .343)...Was the recipient of the Heart & Hustle award; presented by the MLB Alumni Association to the player who demonstrates a passion for the game of baseball and best embodies the values, spirit and tradition of the game...Went 2-for-4 as the leadoff batter and starting third baseman in the Wild Card Game vs. San Francisco on 10/1. 2013 SEASON: Split time between Pittsburgh and Triple-A Indianapolis...Was named to the International League mid-season All-Star team...Was a member of Pittsburgh's Opening Day roster for the second straight season...Made season debut as a pinch runner on Opening Day on 4/1 vs. Chicago...Made start at third base on 4/10 at Arizona and went 1-for-4 with an RBI...Went 1-for-8 in six games with the Pirates before being optioned to Indianapolis on 4/14...Hit .293 (22-for-75) with seven doubles, seven RBI, 14 runs scored and 10 stolen bases in 20 games thru 5/6...Went 3-for-4 with three doubles on 4/30 vs. Gwinnett...Had a straight steal of home on 5/3 vs. Lehigh Valley...Was recalled by Pittsburgh on 5/7 when James McDonald went on the disabled list...Popped out as a pinch hitter on 5/8 and was optioned back to Indy the following day...Homered and swiped two bases on 5/18 at Pawtucket...Was recalled a second time on 5/27...Went 1-for-2 in four games and was optioned back to Triple-A on 5/31...Tripled twice and had six RBI on 6/24 at Charlotte...Went 4-for-5 with two doubles and a triple on 6/27 vs. Rochester...Went 11-for-22 with four doubles, three triples, a homer, eight RBI and seven runs scored in a five-game span from 6/22-26...Was hitting .316 in 60 games with Indy and was leading all minor league players with 20 extra-base hits when he was recalled by Pittsburgh on 6/28...Played final five innings in right field of 14-inning game vs. Milwaukee on 6/30 and went 0-for-2 with a walk at the plate...Was optioned back to Indianapolis on 7/2 and went 6-for-18 with four doubles in four games before returning to Pittsburgh on 7/9 when Neil Walker went on the disabled list...Was leading the International League with 29 doubles at the time of his recall on 7/9...Went 3-for-5 with a career-high four RBI on 7/25 at Washington and hit a two-run homer off lefty Gio Gonzalez - his first big league homer since 8/4/12...Connected off lefty Mike Dunn for first career walkoff home run while pinch hitting on 8/6 vs. Miami - the first pinch-hit walkoff homer by a Pittsburgh player since Craig Wilson on 9/3/01 (game two)...Made first career pitching appearance on 8/9 at Colorado; retired lone batter he faced on a flyout in the 8th inning of a 10-1 loss; was the first Pittsburgh position player to pitch since Abraham Nunez on 5/30/04...Had a bases-loaded triple as a pinch hitter on 8/20 at San Diego - the first for the Pirates since Cecil Espy did so against the Phillies at Three Rivers Stadium on April 19, 1992...Connected off Jake Westbrook for second pinch-hit home run on 9/6 at St. Louis...Went hitless in his next 11 at bats before going 2-for-4 in the regular season finale on 9/29 at Cincinnati...Made 14 appearances in right field, 11 at second base, seven at third base, four at shortstop and one in left field while playing with Pittsburgh...Also went 6-for-29 (.207) with a double, triple, two homers and six RBI as a pinch hitter...Hit .350 (14-for-40) against LHP and .167 (8-for-48) against RHP. 2013 POSTSEASON: Pinch-ran and scored eventual winning run in 5-3 Bucco victory vs. St. Louis in Game Three of N.L.D.S. on 10/6...Pinch-ran and was caught stealing second base in Game Four on 10/7. Spent first full season in the Majors with the Pirates...Was Pittsburgh's most used pinch hitter, going 4-for-29 (.138) with a walk and three RBI...Made 18 starts at shortstop, 18 at second base, 10 in right field and nine at third base...Delivered walkoff single in 12-inning game on Mother's Day on 5/13 vs. Houston...Made start at third base on 5/16 at Washington and connected off LHPGio Gonzalez for first home run of the season...Made first professional appearance in right field as a starter on 5/21 vs. New York (NL)...Had career-high 10-game hitting streak from 5/13-25 (13-for-38, .342)...Broke up Justin Verlander's no-hitter on 5/18 at Comerica Park with a one-out single in the ninth inning...Went 3-for-5 with a homer and two stolen bases on 6/19 vs. Minnesota...Homered in front of family and friends in hometown of Cincinnati on 8/4; also singled off Aroldis Chapman in the game...Had two hits on 8/5 vs. Cincinnati, but then went hitless in his next 16 at bats before recording a pinch-hit single on 8/18...Had a career-high tying four hits on 9/23 at Houston. Began season with Triple-A Indianapolis...Hit .375 (21-for-56) in 18games during the month of April, which included a 4-for-4 performance on 4/26 vs. Norfolk...Made lone start/appearance at shortstop on 5/28 at Pawtucket and went 5-for-5 with threedoubles...Was hitting .321 when he was selected by Pittsburgh on 5/30...Made Major Leaguedebut as a starter at third base on 5/31 at New York and went 2-for-4 with an RBI and a runscored...Singled off R.A. Dickey in second big league at bat...Hit safely in his first three games(4-for-13, .308)...Produced eight-game hitting streak with the Bucs from 6/5-17 (10-for-28,.357)...Recorded first Major League stolen base on 6/11 vs. New York (NL)...Was optioned toIndianapolis on 6/23...Went 4-for-14 (.286) in four Triple-A games before being recalled on6/28 when Jose Tabata went on the D.L...Went 8-for-35 (.229) in 14 games with Pittsburghbefore being optioned back to Indy on 7/21...Hit .295 (23-for-78) with two homers and nineRBI during final 14-game stint with Indianapolis from 7/21 thru 8/1, hitting safely in 10 of hislast 11 games...Made a total of 38 appearances at third base, 16 at second base and one atshortstop while playing at the Triple-A level...Was recalled a final time by Pittsburgh on 8/13and hit .326 (14-for-43) in his 16 games in August...Connected off Milwaukee's Marco Estrada for first Major League home run on 8/23 atPNC Park...Had three hits and a career-high three RBI on 8/27 at St. Louis...Had a career-high four hits and fell a home run shy of hittingfor the cycle on 9/24 vs. Cincinnati...Made 50 appearances (46 starts) at third base and six appearances (five starts) at second basewhile playing with the Pirates - Pittsburgh posted a 23-23 record in his 46 starts at third base...Committed six errors (three fielding/threethrowing) while playing third base and two errors (both fielding) while playing second base...Went 0-for-8 with a sac bunt as a pinch hitterwith the Pirates...Walked just three times in 204 plate appearances with Pittsburgh. Spent entire season with Eastern League Champion Altoona club...Was named to the league's mid-season All-Star team (went2-for-2 with a triple and two RBI in the game)...Ranked seventh in the league in batting average and third in hits...Led the league with14 sacrifice hits and tied for the league lead with 10 sacrifice flies...Struck out once every 11.25 plate appearances, which was the bestmark in the circuit...Set a club record with four doubles on 6/27 vs. Bowie...Ranked fourth among Pittsburgh farmhands in batting and tiedfor fourth in games played...Finished with the fourth-most hits in a single season in club history...Homered twice on 8/19 at Portland...Made 86 appearances at third base and 48 at second base with Altoona during the regular season; made his last 44 appearances at thehot corner...Hit three home runs in the post season after hitting four home runs during the regular season...Produced a .330 average in 22games while playing for the Mesa Solar Sox in the Arizona Fall League, going 30-for-91 with 10 doubles, two triples, a homer, eight RBI,19 runs scored and six stolen bases in six attempts. Hit .311 (160-for-514) with 28 doubles, nine triples, six home runs, 55 RBI and 30 stolen bases in 131 games with three differentminor league teams...Began season with Peoria (Cubs' A) and produced the second-highest batting average (.373) in the Midwest Leagueduring the month of April...Hit .448 (26-for-58) during a 15-game hitting streak from 4/23 thru 5/6...Had six multi-hit games in a sevengamestretch from 5/5-12 (15-for-33, .455), raising average from .357 to .385...Had batting average as high as .389 following the actionon 5/21...Had four hits in final game with Peoria on 7/6...Was named to Midwest League mid-season All-Star team...Made 29 appearancesin left field, 16 at second base and 12 at third base while playing with Peoria; also went 31-for-95 (.326) in 24 games as the designatedhitter...Was promoted to Daytona on 7/9 and went 3-for-4 with a home run in his fourth game on 7/12...Was named the Florida StateLeague Batter-of-the-Week for the week of 7/20-27 after going 11-for-30 (.367) with five RBI in seven games; had four hits and four RBIon 7/24 vs. Palm Beach...Made eight appearances in left field and five each at second base and third base while playing with Daytona...Was acquired by Pittsburgh organization and finished season with Lynchburg, where he made 18 appearances at third base, 15 at secondbase and one in left field. Split first professional season between Boise (Cubs' Rookie) and Peoria and hit a combined .305 (72-for-236) in 64 games withthe two clubs...Made professional debut on 6/17 and went 2-for-2 with a double, RBI and stolen base vs. Eugene...Hit safely in each of hisfirst six games (8-for-22, .364) thru 6/26...Produced a 12-game hitting streak from 7/3-16, going 21-for-45 (.467) and raising averagefrom .250 ro .365...Hit first professional home run while playing lone game in center field on 7/13 at Eugene...Had season-high four hits andfour RBI on 7/16...Made 23 appearances at second base, two in left field and one in center field while playing with Boise...Was promotedto Peoria following his two-hit game with the Hawks on 7/24...Had two hits in his debut with Peoria on 7/25...Made 24 appearances atsecond base and four in right field while playing with the Chiefs. 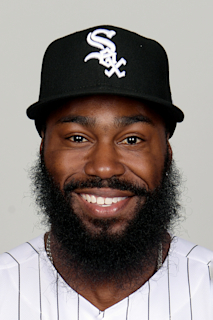 February 23, 2019 Detroit Tigers signed free agent 2B Josh Harrison. October 31, 2018 2B Josh Harrison elected free agency. May 20, 2018 Pittsburgh Pirates activated 2B Josh Harrison from the 10-day disabled list. May 14, 2018 Pittsburgh Pirates sent 2B Josh Harrison on a rehab assignment to Altoona Curve. April 16, 2018 Pittsburgh Pirates placed 2B Josh Harrison on the 10-day disabled list. Fracture of 5th metacarpal bone in left hand. November 6, 2017 Pittsburgh Pirates activated 2B Josh Harrison from the 60-day disabled list. September 10, 2017 Pittsburgh Pirates transferred 2B Josh Harrison from the 10-day disabled list to the 60-day disabled list. Fractured left hand. September 3, 2017 Pittsburgh Pirates placed 2B Josh Harrison on the 10-day disabled list. Fractured left hand. November 4, 2016 Pittsburgh Pirates activated 2B Josh Harrison from the 60-day disabled list. September 26, 2016 Pittsburgh Pirates placed 2B Josh Harrison on the 60-day disabled list. Right groin strain. August 21, 2015 Pittsburgh Pirates activated 2B Josh Harrison from the 15-day disabled list. August 11, 2015 Pittsburgh Pirates sent 3B Josh Harrison on a rehab assignment to Indianapolis Indians. July 9, 2013 Pittsburgh Pirates recalled 3B Josh Harrison from Indianapolis Indians. July 2, 2013 Pittsburgh Pirates optioned Josh Harrison to Indianapolis Indians. June 28, 2013 Pittsburgh Pirates recalled Josh Harrison from Indianapolis Indians. May 31, 2013 Pittsburgh Pirates optioned Josh Harrison to Indianapolis Indians. May 27, 2013 Pittsburgh Pirates recalled Josh Harrison from Indianapolis Indians. May 8, 2013 Pittsburgh Pirates optioned Josh Harrison to Indianapolis Indians. May 7, 2013 Pittsburgh Pirates recalled Josh Harrison from Indianapolis Indians. April 14, 2013 Pittsburgh Pirates optioned Josh Harrison to Indianapolis Indians. August 13, 2011 Pittsburgh Pirates recalled Josh Harrison from Indianapolis Indians. July 21, 2011 Pittsburgh Pirates optioned Josh Harrison to Indianapolis Indians. June 28, 2011 Pittsburgh Pirates recalled Josh Harrison from Indianapolis Indians. June 23, 2011 Pittsburgh Pirates optioned Josh Harrison to Indianapolis Indians. May 30, 2011 Pittsburgh Pirates selected the contract of Josh Harrison from Indianapolis Indians. May 7, 2011 Josh Harrison roster status changed by Indianapolis Indians. April 28, 2011 Indianapolis Indians placed 3B Josh Harrison on the 7-day disabled list. April 6, 2011 3B Josh Harrison assigned to Indianapolis Indians from Pittsburgh Pirates. March 17, 2011 3B Josh Harrison assigned to Pittsburgh Pirates. August 31, 2010 Josh Harrison assigned to Mesa Solar Sox. March 8, 2010 3B Josh Harrison assigned to Pittsburgh Pirates. July 8, 2009 Josh Harrison assigned to Daytona Cubs from Peoria Chiefs.